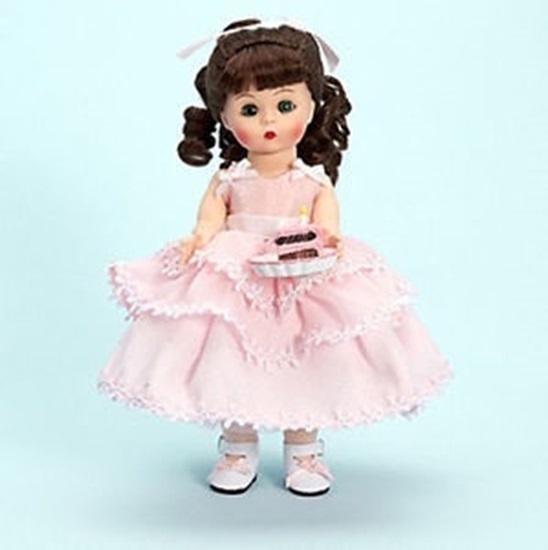 This 8 inch Wendy wears a pretty pink sleeveless party dress, trimmed in white,with a petticoat underneath. Pink tights and white leather Mary Jane shoes complets her outfit. She has long brunette curls tiedback with a pink ribbon and green sleep eyes. She comes with a slice of birthday cake on a plate.